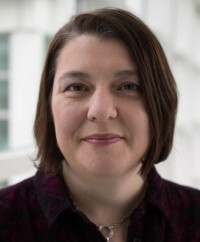 Jane joined the National Physical Laboratory (NPL) in 2011, and serves as the Executive Director of AIRTO (the Association of Innovation, Research and Technology Organisations), the body representing the UK’s Innovation, Research and Technology sector. Jane has a life sciences background. She is a graduate of the University of Reading, and gained a PhD in animal physiology (also from Reading University), and has published widely in the field of neonatal thermoregulation. She began her working life at the Institute for Animal Health, and went on to hold a range of management and leadership roles at King’s College London, within the health schools, and within the university’s research commercialisation and research support division, King’s Business Ltd, where she was Director of Business Development. During her 13 years at King’s Jane was involved with a number of collaborative ventures including Innovation China UK, and London Genetics Ltd, and served as a non-executive Director of Simulstrat Ltd, a wargaming spin-out company which was acquired by Deloitte in 2010. Jane lives in Berkshire with her husband, John, and their three teenage sons.